For this discovery tour of the island of beauty, you will stay in quality hotels and will be accompanied by a private guide who will comment and ensure the guided tours according to the program. Your private guide will pick you up at your hotel with his vehicule and drive you through Cap Corse, Bonifacio, Corte, Porto, Balagne. At you arrival in Corsica, a private taxi or minibus will pick you up and take you to your accommodation. Erbalunga is located on the east coast of Cap Corse and is one of the most beautiful villages in the Mediterranean region. Take a leisurely stroll through the picturesque streets past sweeping balconies, the marina and the old fishing port where you can sample fresh seafood. The impressive Genoese tower built in the Middle Ages stills seems to be watching over the village! 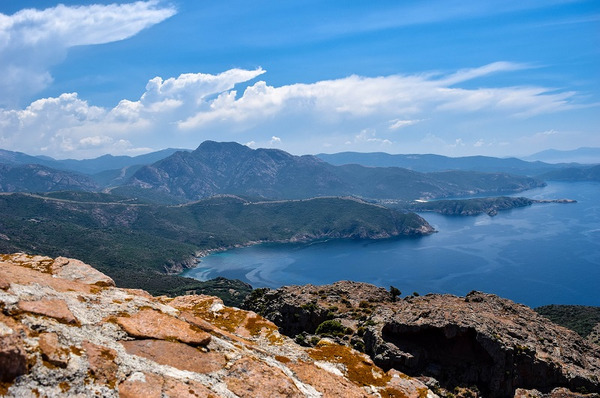 The peninsula of Cap Corse is one of the most beautiful regions of the island; it concentrates the whole spectrum of Corsica's varied sceneries and sights. Hilly landscape, forests, rugged rocks, lonely bays, long beaches, villages literally hanging on the mountain, old churches, high Genoese towers, superb “American houses” from the 19th century and mausoleum-like tombs offer an amazing variety of exceptional beauty. Depart your hotel in direction of Cap Corse. Stops in Miomo, Lavasino, Erbalunga and the tower of Osse. Continue towards the town of Luri on the Thyrrhenian Sea, where you may want to take a short sea cruise (own expense). 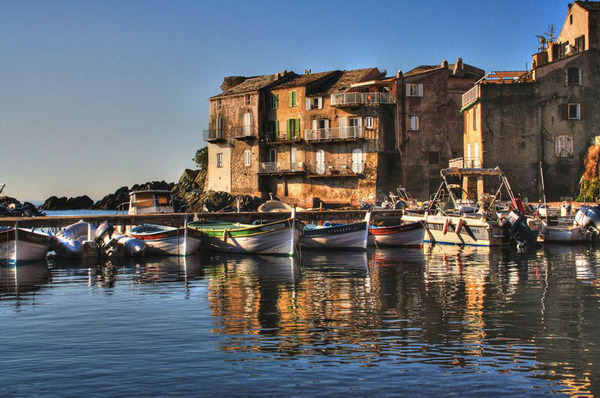 You will then resume your trip to the west coast of Cap Corse where you will visit the picturesque village of Pino, literally hanging on the mountain, and Nonza, with its houses merged into the rock (classified World Heritage). Your trip back will take you along the Wine Route; wine lovers may want to stop in Patrimonio for the sampling of a Corsican AOC wine. You will return to your hotel at the end of the day. Duration: 8 hours – commentaries in English. 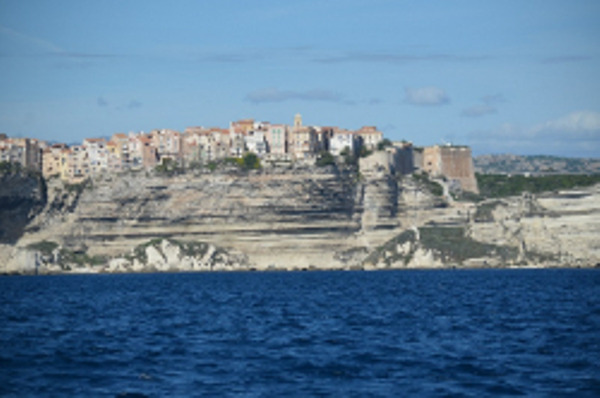 Take a trip to Bonifacio, the picturesque port city situated at the southern tip of Corsica. Nestling in the Calanque de Fazia, a fjord-like bay, it is one of the most impressing bays in the Mediterranean region. The narrow houses of the medieval old town are built on a limestone promontory made. Throughout history often the scene of armed conflict, it was built like a fortress of which remains the impressive citadel towering the city, its earliest walls were raised in the 9th century. You will enjoy a stunning panoramic view over the maritime natural reserve and the Strait of Bonifacio (sea gate between Corsica and Sardinia). Enjoy the breathtakingly beautiful sight! 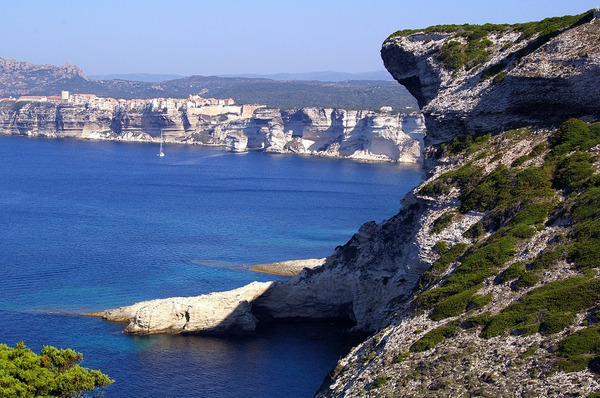 Itinerary: Via the Plaine Orientale to Bonifacio. Guided visit of the medieval citadel. Then free time – what about a stroll through the port or the narrow alleys of the old town? You may want to take a boat trip? This activity is not included in the price and to be paid on-site. Return trip to your Hotel in the late afternoon. Venue and time: at 8.15 a.m. pick up service from your hotel. At the end of the day, drop off service at your hotel. Duration: 9 hours – commentaries in English. The picturesque port city of Bonifacio is enclosed in the Calanque de Fazia, an impressing fjord-like bay. The narrow medieval town is built on a rocky chalk-white limestone promontory shaped by wind, waves and spray. Throughout history it was the theatre of many armed conflicts and therefore built into a fortress. The first walls of the citadel were raised in the 9th century. From the cliffs you will enjoy a beautiful panoramic view over the Strait of Bonifacio (the sea gate between Corsica and Sardinia) and the International Maritime Park, one of the most remarkable natural sites in the Western Mediterranean. Hikers will find many well-signposted trails leading through the stunning scenery, sport enthusiasts may want to discover the landscape by horse, mountain bike or quad. Sartène, “the most Corsican of all Corsican cities“ offers a stunning panoramic view from the Gulf of Valinco to the massif of the Aiguilles de Bavella. You will wander along the picturesque narrow alleys and make a stop in one of the manifold shops offering local handicraft and delicatessen. Most shops propose tastings, why not treat yourself? One of Corsica's most interesting museums is the “A Casa di Roccapina” featuring exhibitions, shows and interactive activities. Audio-guides in English and many other languages will be at your disposal. After the visit of the museum, you will explore the mysterious and bizarre rocky scenery of Rochers de Roccapina. You will dropped off at your hotel in the late afternoon. Discover the Gulf of Porto, a unique natural wonder in the Mediterranean Area (UNESCO World Heritage site) and in fact, one of the most beautiful natural sites worldwide. In the Calanques de Piana (fjord-like bays) you will be amazed by the bizarre, original, amazing rocky landscape. A fascinating play of colors will unfold before your eyes. The intense blue of the sea, the bright light, the pink, red and orange shades of the granite, and the sculptures eroded out of the stone merge into a natural artwork. Stroll through the marina or take an easy hike through the Calanques de Piana. You may want to take a boat trip through the Gulf of Porto and the Natural Reserve of Scandola (own expense). The region of La Balagna is renowned for its olive groves and uncountable churches, owing it the surname “la sainte Balagna”, the holy Balagna. Today it is mainly a popular sea tourist destination. The route is a feast for the senses! The colorful blooming "macchia" spread a sweet fragrance in spring time; traditionally-made cheeses and sausages await to be sampled; picturesque villages, idyllic beaches with Caribbean flair and crystal clear water, as well as lookouts with stunning views, will take your breath away and capture your attention! 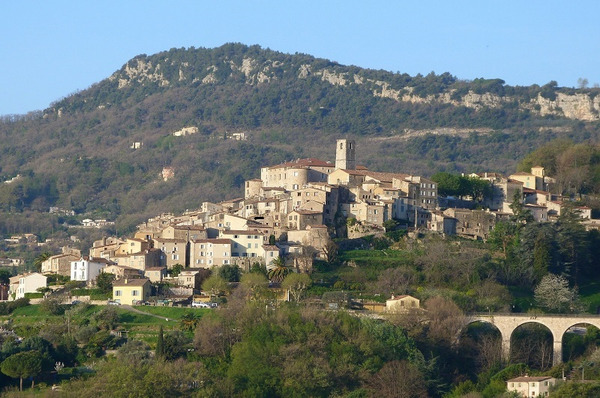 Depart from your hotel to La Balagna via the picturesque port town of Saint-Florent and the spectacular desert of Agriates which, although the name might suggest otherwise, is green and blooming in spring and will eventually dry up in the summer heat. Visit of Ile Rousse, a pretty town founded in the 18th century by the Corsican revolutionary and freedom fighter Pasquale Paoli. 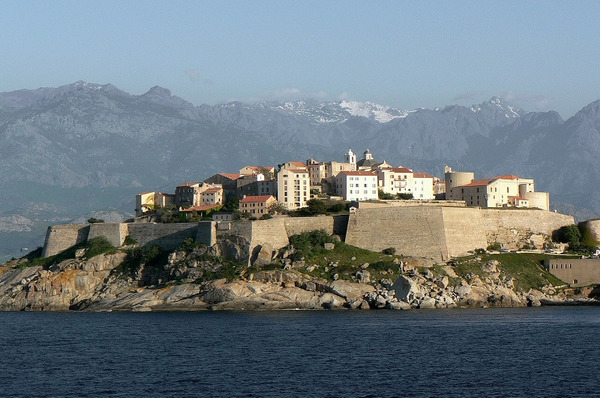 Continue to Calvi for a visit of the Genoese citadel “Semper fidelis”. Your trip will be rounded up by a tour through the old villages of La Balagna where you will literally immerse yourself in the medieval times of Corsica. A private driver will pick you up at your accommodation and bring you safely to the airport.